When I read Sonali Dev's A Bollywood Affair last year, I immediately fell in love with her characters. 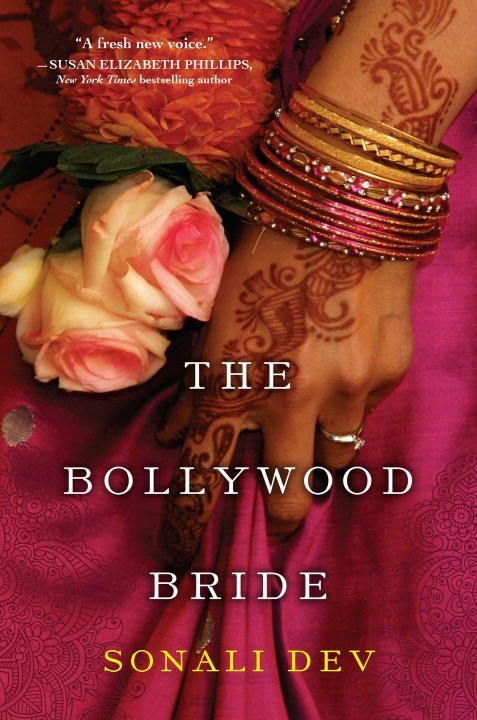 As soon as I found out she was continuing her Bollywood series, I made a note to add The Bollywood Bride to my reading list. Since her previous work focused on an unlikely couple falling in love, I foolishly assumed that Bride was a sequel to that book. I have to admit that at first I was disappointed that it was not, but Dev’s new characters quickly brought me around to their side. Known as Bollywood’s Ice Princess, Ria Parkar leads a dreadful life. Though her adoring fans think she lives a charmed life, she really lives in a self-imposed isolation from the world when she’s not filming. Her closest, and only, friends are her housekeeper and her agent. So why does she continue working in an industry she hates? Ria has secrets that cost her financially and otherwise and smiling for the camera is the only way she knows how to keep them contained. When Ria fled Chicago 10 years prior, she left behind her favorite aunt and uncle and her cousin Nikhil, who is more like a brother than a cousin to her. She also left behind her best friend and lover, Vikram. Now that Nikhil is getting married, Vikram and Ria will be together in the same house where they began and ended their relationship. Vikram is determined not to let Ria get under his skin. He’s finally found a semblance of happiness and won’t abandon it for the woman that broke his heart. The Bollywood Bride is a bit of a misleading title because based on the main characters, you might think that this book ends in a wedding between them. Spoiler: It does not. But it does give readers plenty of interesting twists and turns as we watch Vik and Ria deny their lover for each other and fight to maintain their distance in a house overrun by well meaning, but nosy, relatives and friends. As always, it’s an entertaining read from Dev and has me planning a Netflix Bollywood marathon in the near future.